The New Courtyard by Marriott Houston Medical Center provides greater flexibility and choices for all our guests. This Medical Center/Reliant Park hotel is within minutes to major centers in Houston such as the Texas Medical Center which houses the world renowned MD Anderson, Reliant Park, Downtown Houston, the famous Business District of the Galleria but also close to companies such as Shell, Schlumberger, R-Stahl and NDT System. The highlights of this new hotel features an inviting lobby, flexible spaces to work or relax in, free Wi-Fi throughout and easy access to the latest news, weather and airport conditions via our GoBoard. During your stay experience The Bistro - Eat. Drink. Connect which provides guests with healthy food and beverage offerings in the morning and evening dinner service with cocktails. We offer complimentary shuttle service to area hospitals and shopping centers. 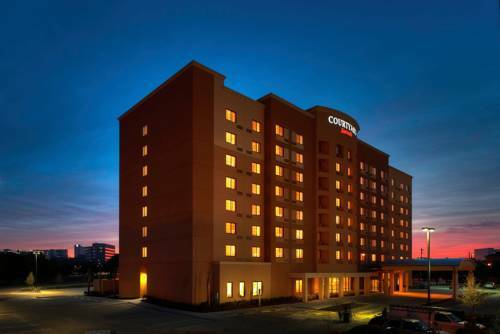 Your stay at the Courtyard by Marriott Houston Medical Center is sure to be more comfortable and productive.